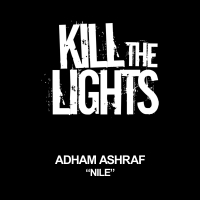 Adham Ashraf delivers a great debut for KTL with Nile. The track is focused around a blissfully infectious melodic break which resists the tempatation to over complicate things whilst still delivering that all important melodic feel good factor. Tasso gets in on the remix action giving the track a darker and heavier feel whist still retaining all the key elements of the original. 'Nile' is available now from Beatport and iTunes.